THE B-MOVIE NEWS VAULT: BALLET OF BLOOD makes its graceful leap to Blu-ray! BALLET OF BLOOD makes its graceful leap to Blu-ray! BALLET OF BLOOD GETS AN UPGRADE! 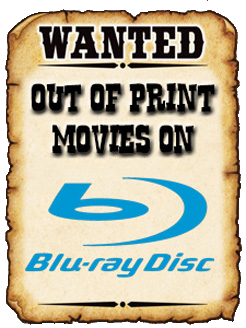 PURCHASE IT ON BLU-RAY DIRECTLY FROM LEGLESS CORPSE FILMS.COM! About a year ago, I posted about BALLET OF BLOOD's DVD & VHS release. (Right HERE to be exact.) Since then, the film has been released on Blu-ray, boasting an all new high-def transfer and extras that weren't included on the previous release. Read on to learn more about this tale of murderous ballerinas! Film Synopsis: After years of emotional abuse and body shaming, two ballerina's drug-fueled fantasy, of viciously attacking their ballet school, becomes reality. Meanwhile, a nerdy ballerina starts writing a novel based on the events that transpired, deeply offending some for turning such sensitive material into a book for young audiences. Soon, her and her sister realize every word being typed is somehow altering real life. Will this strange and psychedelic paralleling fantasy carry the sisters, along with anyone else, to a merciless blood-splattered doom? BALLET OF BLOOD was written and directed by Jared Masters, and stars Sydney Raye and Jessica Knopf, as the partners in crime. The film also features Laura Amelia as the dance teacher, Delphine, and Julia Faye West as company co-owner, and Mindy Robinson as the prima ballerina. BALLET OF BLOOD has won the Audience Choice Award at the 2015 RIP International Horror Film Festival, and was also nominated for Best Acting Ensemble and Best Editing. Never before seen audition tapes.